A Munich Court on Monday rejected a request by Audi CEO Rupert Stadler to be released from police custody after being imprisoned eight weeks ago in the course of ongoing "dieselgate" investigations in Germany. 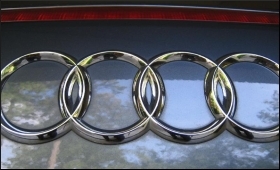 A spokesperson for the court was quoted by Xinhua as saying that Stadler remained under urgent suspicion of having known of diesel emissions-cheating practices at Audi without halting the sale of affected vehicles. Additionally, the arrest warrant delivered to the CEO was not overturned because of a danger of collusion still posed by the 55-year-old suspect. Stadler had filed a legal complaint in the hope of being set free as he is awaiting the formal opening of a court trial to probe Audi's involvement in the "dieselgate" scandal. Stadler and another unnamed senior manager at the Volkswagen Group subsidiary Audi are suspected of offenses of criminal fraud and "indirect false certification" in the marketing of diesel vehicles which were fitted with defeat devices to understate their actual Nitrogen Oxide (NOx) emissions. German investigators believe that the Ingolstadt-based luxury carmaker has sold at least 210,000 diesel vehicles with illegal emissions-cheating software in the United States and Europe since 2009. The suspended CEO has already provided a first testimony to prosecutors while imprisoned at the Augsburg-Gablingen penitentiary facility near Munich. It remains unclear, however, whether or not he denied the accusations against him. Stadler has been temporarily replaced in his role on the Audi management board by Bram Schot. Volkswagen has hesitated to fire Stadler prior to a conclusion of judicial proceedings against him and has only suspended the jailed CEO whose regular contract is scheduled to expire in 2022. The arrest marked the first time that a member of the management board of a German carmaker was taken into police custody in the "dieselgate" scandal.